There have been a number of requests for mp3 downloads for the backing tracks on my Guitar Lessons & Resources page. I've therefore added a new feature which enables you to purchase and download individual backing tracks through paypal. You can now purchase downloads of both albums from bandcamp as well as individual tracks. Please check out my new Guitar Lessons & Resources page where you can view a number of video lessons given by myself and download good quality pdf or jpeg resource sheets to accompany each lesson. 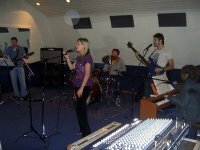 There are also a selection of free backing tracks for you to use to practise your improvising over. I hope you find them useful. Work has started on a new Instrumental EP I'm hoping to release later this year. Once again, I'm working with my good friend and musician Mr Adrian Rose who will be playing Bass guitar. A big thank you to everyone who came to the charity gig at the Station in Kings Heath on Friday 25th Nov(2011). With your support, we managed to raise £170 for Acorns Children's Hospice. 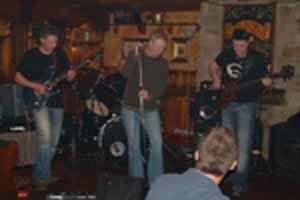 A big thank you to everyone who came to the charity gig at the British Oak on Saturday 22nd Jan (2011). With your support, we managed to raise £263 for Acorns Children's Hospice. As a result of some very enthusiastic reviews from GarageBand.com members, "Undying Land " will be Track of the Day at GarageBand.com. For 24 hours on Tuesday, the 20 th of October, 2009 (PST) "Undying Land " will be featured on GarageBand.com's Instrumental Rock front page. Green Room - my new album is finally available to buy. Click here for more details. 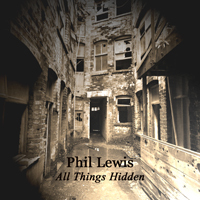 My second album is in production, featuring Adrian Rose playing Bass on a number of tracks. For those of you who have signed up to my mailing list - you will be able to download a free track from the album before its release. To sign up to my mailing list, just enter your e-mail address in the box at the bottom of this page and click the 'yahoo! Groups Join Now!' button. Live chat both public and private. Built in telegram system (mailbox). More than 100 avatar characters to choose from. Participate in voting for your favorites as we pit band against band in our Roman Arena. Hang out at your favorite Indie Band House or visit a nightclub. Drive cars, planes, jet skis, motorcycles and more. Embedded streaming audio and video users can experience together. With a focus on multi-format multimedia presentation, our online 3D Virtual Reality provides an entertaining way to promote and experience music and videos… together. Following a number of requests for guitar tabs for several tracks from 'Without Words', I have set up a 'Guitar Tabs' page where you can view and print tabs using Acrobat Reader. I hope you enjoy. I completed my sponsored cycle for Acorns Childrens Hospice. It was a great holiday although the weather wasn't at its best. So far I have raised £450 - you can still make a donation on line here until September. Thanks to all who have sponsored me. You can view some photos of my trip here. 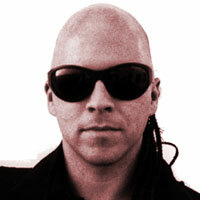 Derek Sivers is the founder, president, and sole programmer behind CD Baby - the largest independent CD store on the web. I had the pleasure of meeting the man himself when he organised a meetup for all CD Baby artists from Birmingham. It was a great night and fun was had by all. Thanks Derek. I will be doing a sponsored bike ride at the end of July for Acorns Childrens Hospice. I will be cycling a total distance of 214 miles from Glasgow to Inverness. This is the main route through the central Scottish Highlands. It passes through Caledonian pine forests and takes in the lochs Tay, Earn, Lubnaig and Vannachar. Please dig deep and sponsor me online here. Your support will be much appreciated. I recently provided the soundtrack for a educational DVD for the 'National Trust Back To Backs' in Birmingham. Several tracks from my album 'Without Words' were used. As a result of some very enthusiastic reviews from GarageBand.com members, "Lost Gold" will be Track of the Day at GarageBand.com. For 24 hours on Sunday, the 16 th of April, 2006 (PST) "Lost Gold" will be featured on GarageBand.com's Instrumental Rock front page. 6 new tracks have been added to my Without Words Album including my own version of the Ski Sunday theme tune Pop Looks Bach written by Sam Fonteyn. Also check out Sea Safari, Catch - 22, Prankster, Fairy Tale and Lost Gold. I am currently seeking Birmingham based musicians to form an instrumental band playing my own material. If there are any drummers, bass players, rhythm guitarists and keyboard players out there who like the music on this site and are interested in arranging an audition, please contact me. I need people with previous gigging experience who are reliable, available to rehearse regularly (at least once a week) and have their own transport.